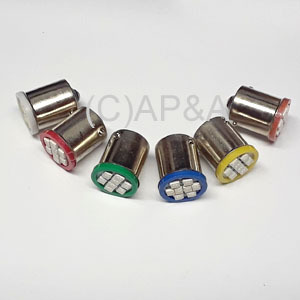 LED replacements for large 12-volt #89 incandescent flash lamps used in most makes/models. Also works in place of #67 lamps. Features multiple individual LEDs on top which provides a bright, crisp light when illuminated. Substitutes: Will not work in place of flash lamps of other voltages, such as #63, #1251 or #1683.